1. Go to the upper-right corner of the screen and click the wrench icon. 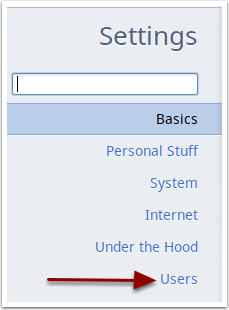 Select Settings from the drop down menu. 2. In the left pane, select Users. 3. In the right pane, check the Restrict sign-in to the following users checkbox. Go to the Add users box and add any additional users by entering their name or address. 4. Close the Settings tab. To keep it truly locked down, make sure to disable guest browsing as well.